Sick of dealing with browser quirks? Or maybe one of your users just LOVES some old crappy version of Internet Explorer? Or do you have users that simply cannot avoid the temptation of an address bar that can take them on a journey to social media land? This short post will show you in just a few easy steps how you can take your existing web site or application and package it up as an Electron application that they can use without ever touching a browser. If you want to check it out, I'd encourage you to visit their site, however we aren't going to be spending too much time on it specifically. We are more interested in quickly using it to migrate an existing web application. 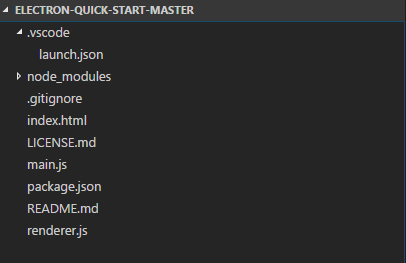 This post is going to take advantage of the existing Electron Quick Start application that you can find on GitHub. We are going to pull it down, make a single change, and then run it to see your web application running it a semi-desktop glory. First, pull down the electron-quick-start repository here. You can see a full set of documentation here of the BrowserWindow object to configure whatever your heart desires. So we have shown that you can easily create this Electron wrapper for your existing web site or application, but now we want to take that a step further. Let's say that you want to actually build a proper executable that would allow the user to install this "app" onto their machines. Thankfully, the team at Electron has already handled this for you thanks to their electron-packager project, which is specifically designed to handle packaging and distribution of your application. But What about My Sweet Scripts? 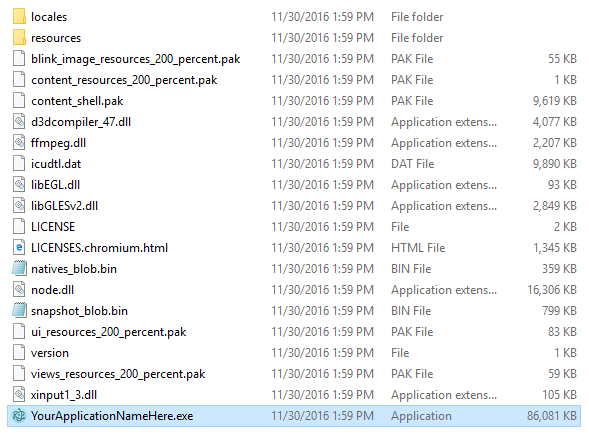 So at this point, we have the application packaged up as an executable, now we have to get it to people. Once again, there's a package for that: electron-installer-windows, which will handle building a Windows installer for you and handle things like deploying updates via Squirrel. Now you can go distribute it out as a holiday gift to your friends, family, and loved ones. Note: Electron actually has a specific electron-builder project that handles building installers, but I found the above one a bit easier to use. YMMV. Just to reiterate what this is. Firstly, let's be clear about what this is. It's a desktop application that simply wraps a given URL to your web application in a sandbox to help retain consistency and avoid any browser-specific quirks (or curious users). Obviously Electron can do some really interesting things, but this was just to demonstrate how you could run a few commands and build an executable for your web application (or even an installer).